If you only need the parallel inner path, you can use the Offset Path tool under Object->Path->Offset Path. You'll just need to enter a negative number as the offset value to make an inner path. The Joins and Miter Limit options work the same as the Corner and Limit options in the Stroke panel. Just make sure you have the Preview box checked to make sure it will look like you want it to. Note that this will probably add a few extra anchor points to the new path. It's a little unclear if you actually need the small perpendicular lines or if you were just using them as a tool to make the inner path. 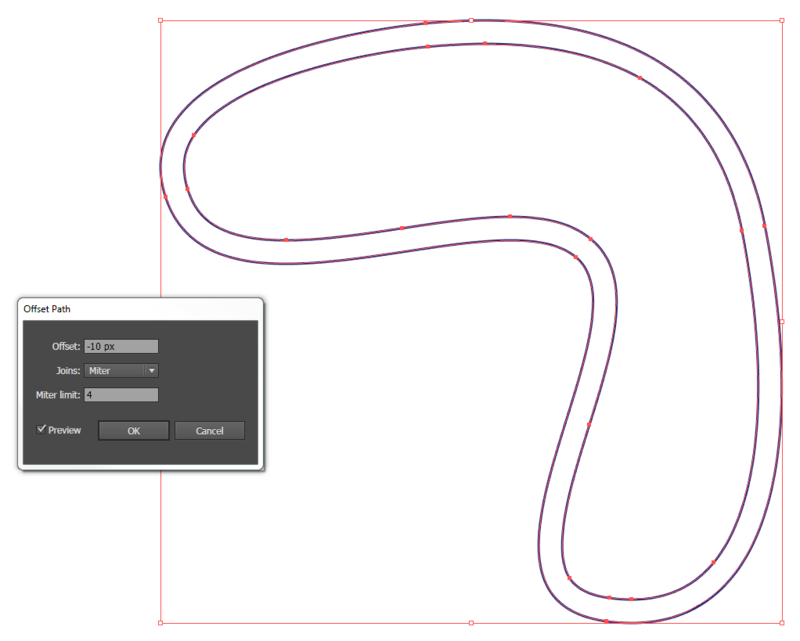 If you do need them, the simplest way to make them is to add a Dashed Stroke to one of the paths. 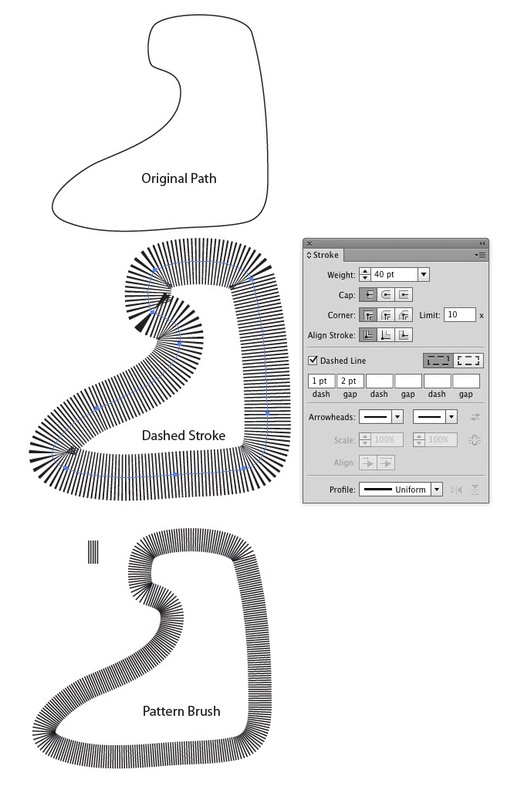 Just give the path a stroke equal to the value you used to create the offset path, set Align Stroke to either Outside or Inside (depending on which path you're using), and check Dashed Line. Then just adjust the Dash and Gap values until it looks like you want. The easiest methods I can think of are a Dashed Stroke or a Pattern Brush. Either would need to be expanded then corners or curves fixed manually, but both would certainly quickly fill most of the path with lines. Not the answer you're looking for? 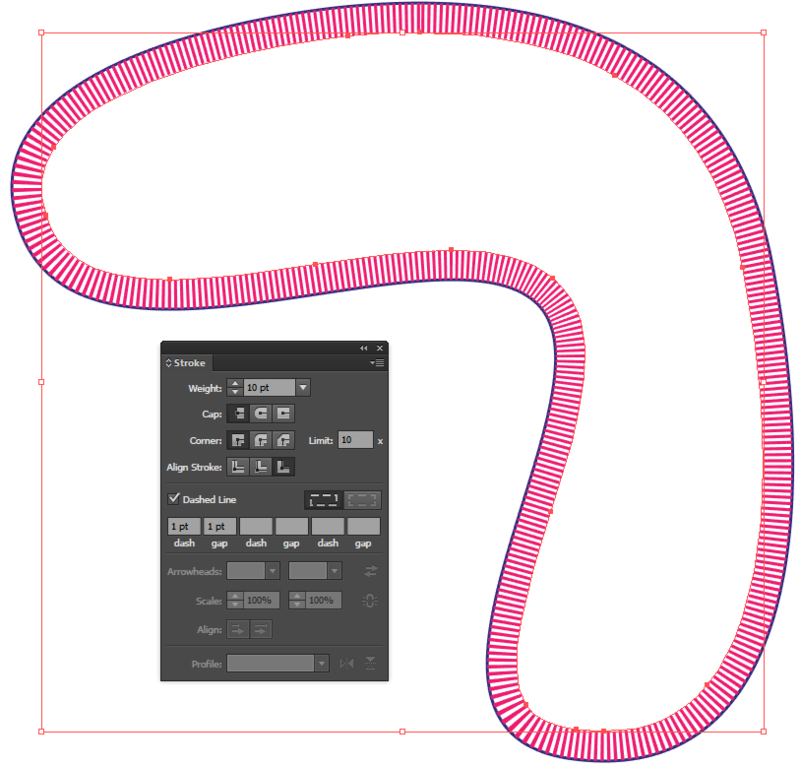 Browse other questions tagged adobe-illustrator path pathfinder or ask your own question. Why my pen tool paths not divided?